Test fixtures are not supplied with the unit. Select an optional test fixture when ordering. ±0.060 % rdg. ±0.001 % f.s. 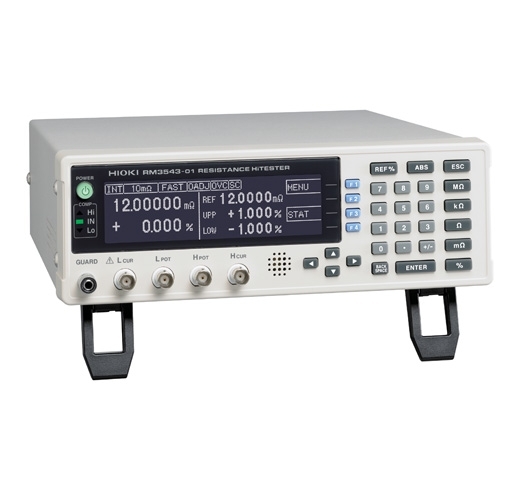 Other functions Comparator (compare setting value with measurement value), Delay, OVC (offset voltage compensation), Average, Measurement fault detection, Probe short-circuit detection, Improve contact, Current mode setting (A pulse application function that applies current only during measurement), Auto-memory, Statistical calculations, Settings monitor (when using two instruments, a difference in settings causes warning notification), Retry, Trigger function. etc,. 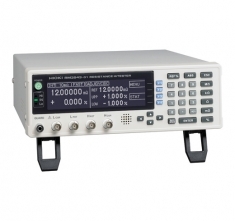 External I/O Trigger, Hold input, Comparator output, Settings monitor terminal, Service power output +5V, +12V, etc. Power supply, consumption 100 to 240 V AC, 50/60 Hz, 40 VA max.